Also, it's too hot in the greenhouse now. I need to get around to taking it down this week. It's been empty for almost 2 weeks now. Maybe, I've sown the pellet/seedlings directly outdoors (after being indoors) without hardening. Some plants show little adverse effect while others take awhile to recover before they take off. Usually they don't fail to recover but if they do it's a specific type of plant and it's all of them (e.g. hot peppers for me?). No more outdoor winter seeds. 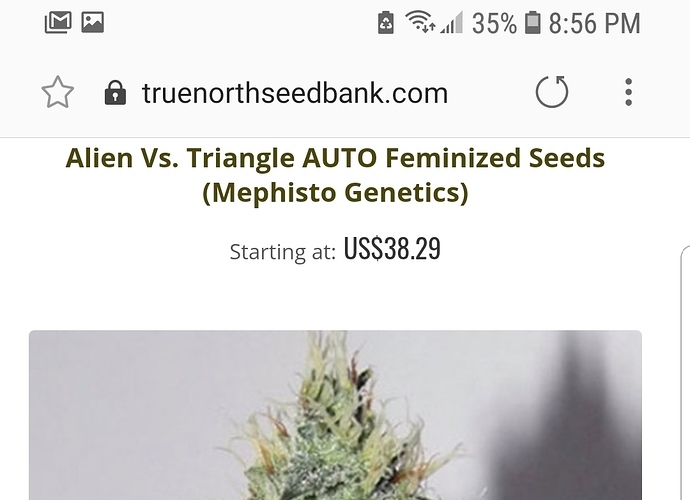 The autos obviously like a lot more sunshine. My inclination would be to use the pellets. If sown directly, there is more risk, particularly in light of your limited amount of seeds. The pellets will give you more control until the seeds sprout and are somewhat established. It is generally not a good idea to use a dome over a tray when in direct sunlight as it can heat up quickly and bake your seedlings. plant the sprouts in your bed. Take a close look at the "fabric" over the peat. Open the box before purchasing them to check. Avoid the "horrible" version. and avoid the coco based ones, imo. @DaFozz Hahahaha! Nope. No micropenises on this thread. Neither Human or Plant. 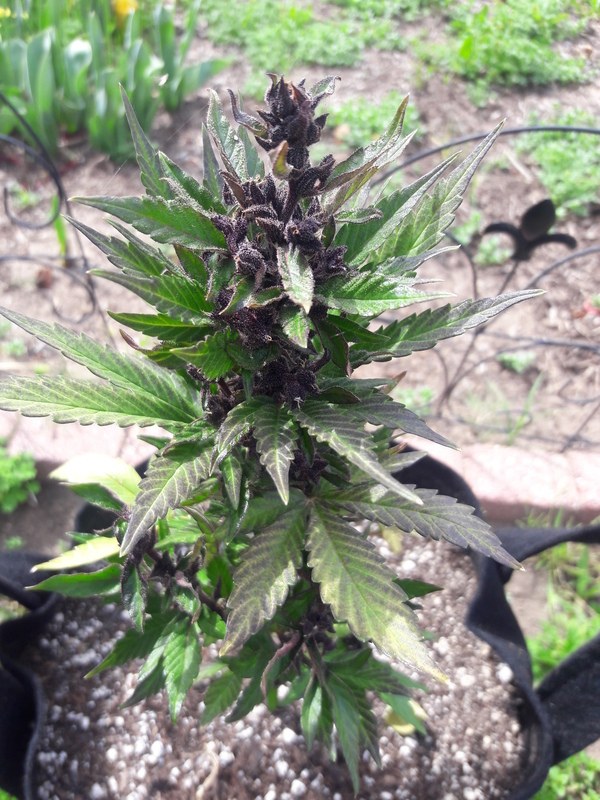 @cannabissequoia I think you are talking about a bud leaf that is black but bright green at the tip. It is sticking out like a micropenis though. OH! Forgot to mention, I see 3 of the autos coming up. Hopefully the other 3 will too! Whoa! I just read back the posts yesterday and saw the progression of my anxiety disorder. I'll pick some random thing that I have no control over and obsess on it. Yesterday apparently it was germing seeds. Funny, today I'm like Dude, it's just a seed sometimes they just don't come up. lol Then of course, they start germing. 5 autos up. Last one is a fem mix, may not happen. 5 out of 6 isn't bad! 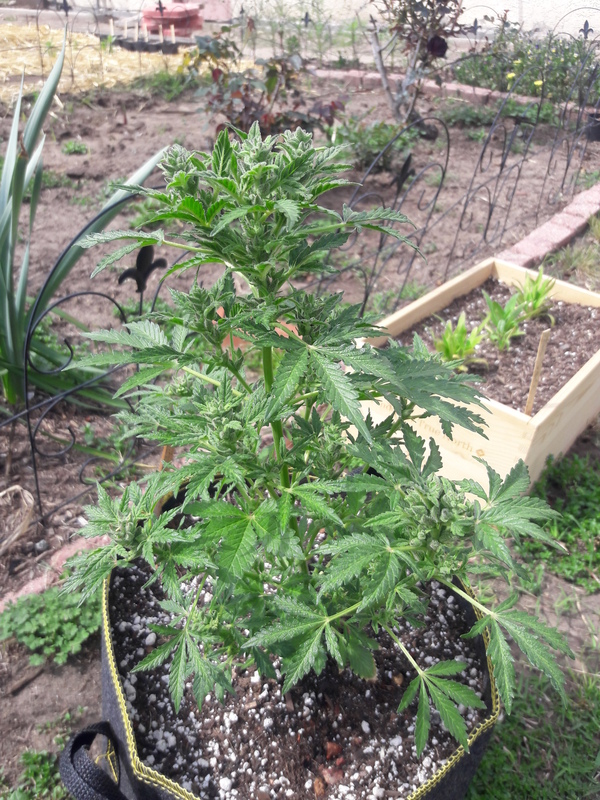 I had really good luck with my outdoor autos last year. 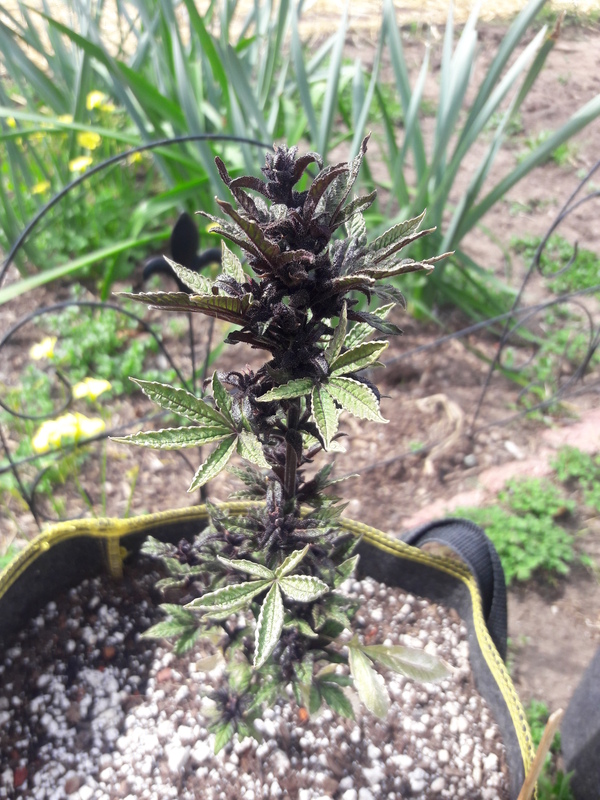 Blue Dreams, they were like 3 ft tall... and well you've seen the results outdoors in the winter...mini me's lol Not sure it was worth the cost of the fancy soil. Live and learn. I have an established vegtable garden that is screaming for one. They are great especially if your early fall is really wet. I hear a lot of folks here have problems with bud rot waiting on their photos to finish outside.